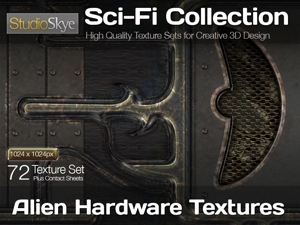 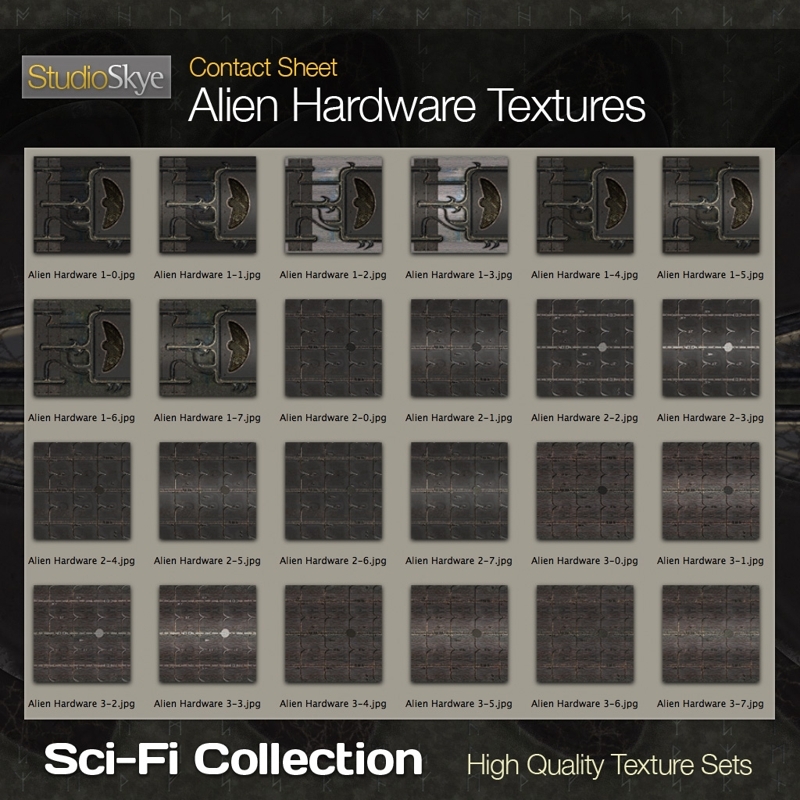 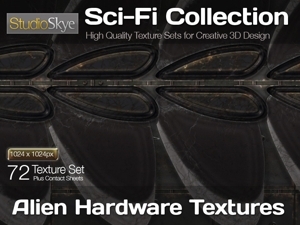 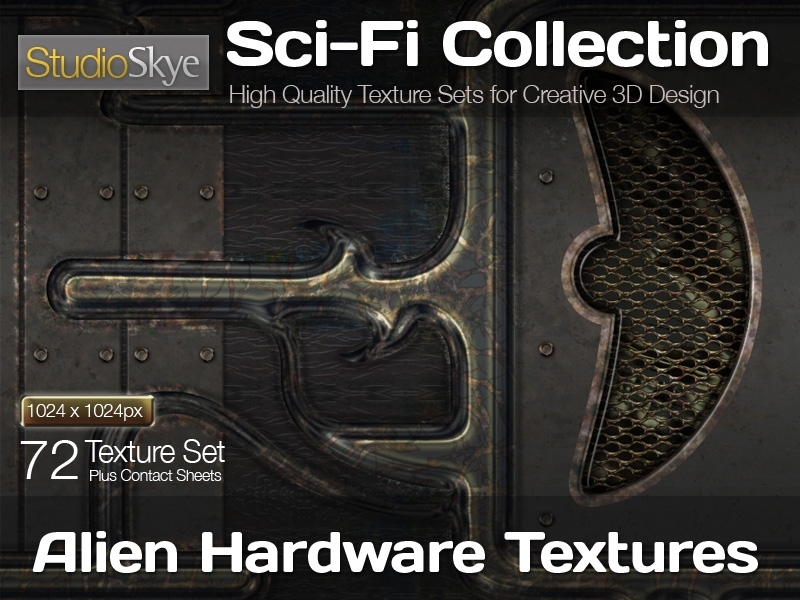 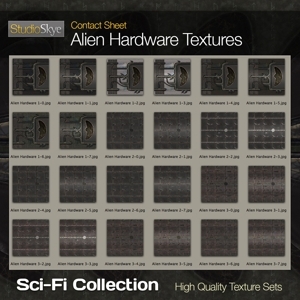 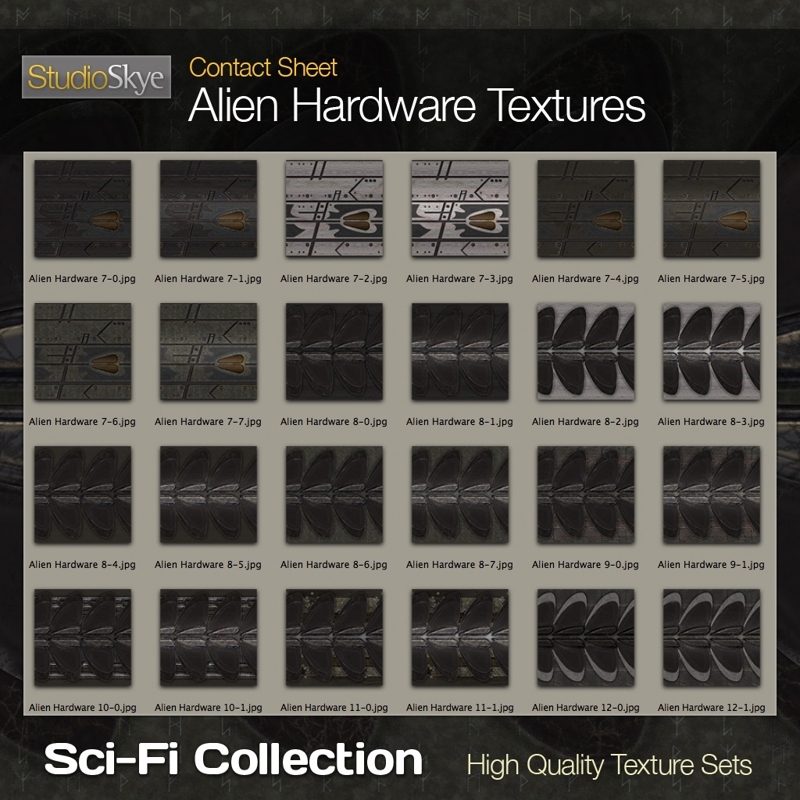 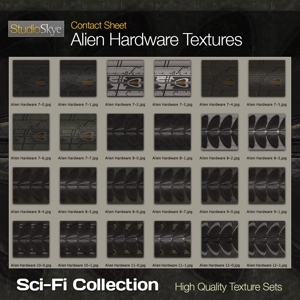 Alien Hardware is a collection of 72 other-worldly surfaces you may expect to find in a non-human craft. Materials are organic/metallic and deep space ‘weathered’. 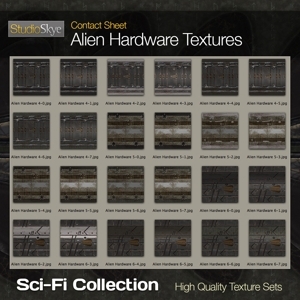 Each texture has an option with or without ambient highlight.